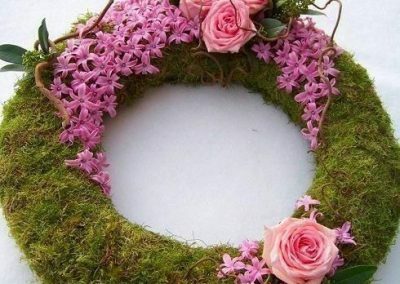 Its never easy saying goodbye, often its hard to find the correct words to use to convey how much someone means to us. 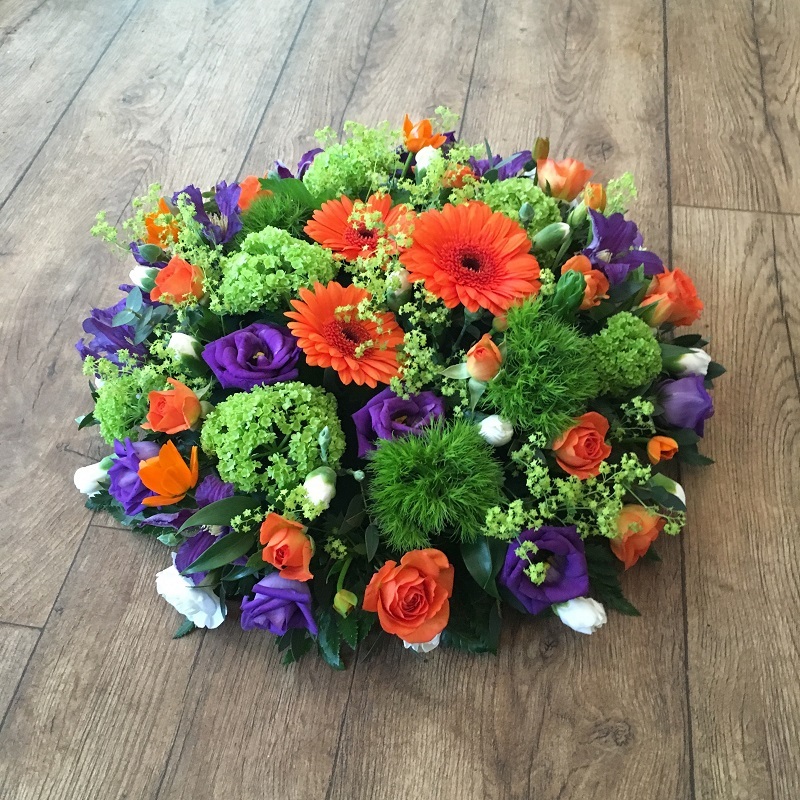 As it is one of the last things you can organise for somebody, we are passionate that the design has to be 100% right. 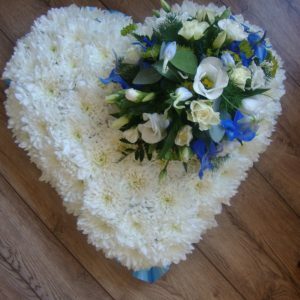 When choosing an fitting tribute, the shape of an heart alone expresses someones love for the person, and how much they meant to them. 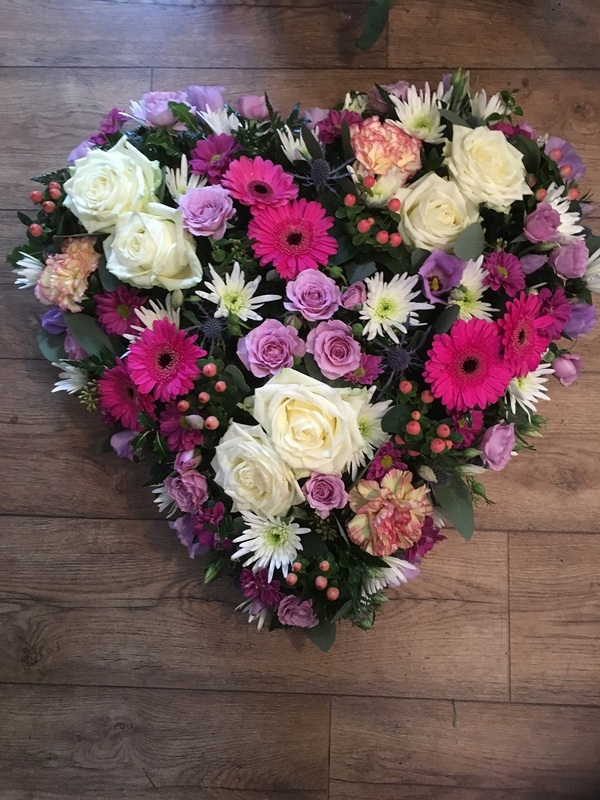 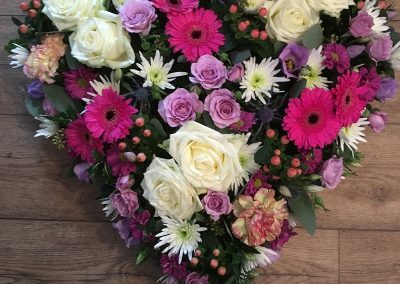 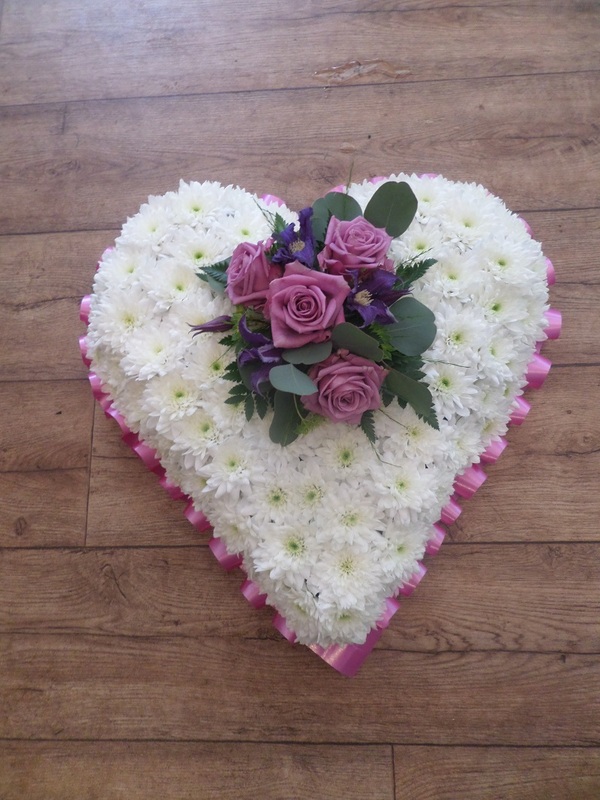 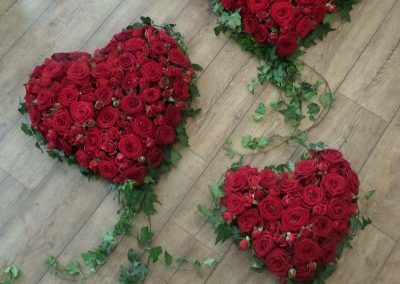 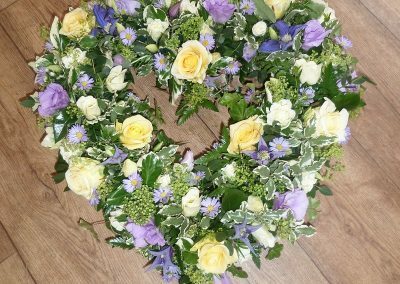 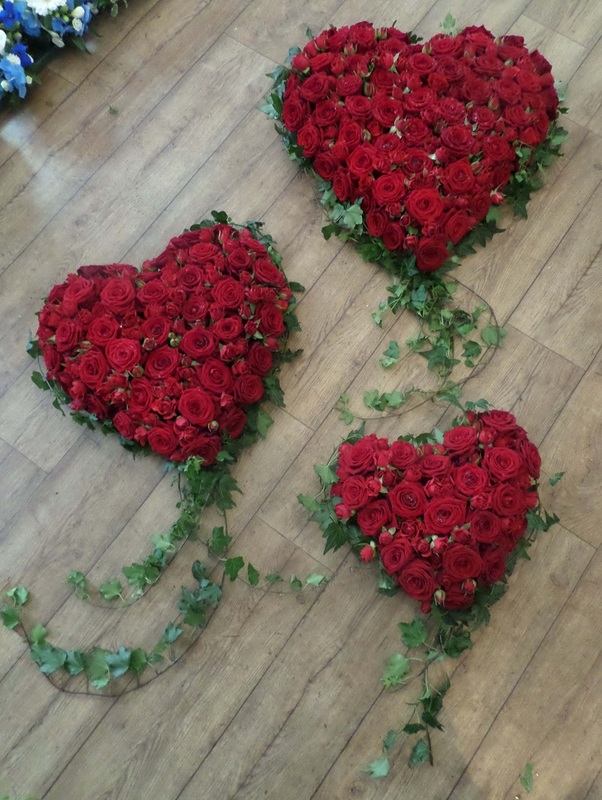 You can either choose a solid heart or open heart frame in various sizes, which are created in a various a selection of styles; Mixed Flowers (loose design) – this is a collection of complimentary flowers in a selection of tones decided upon by you. 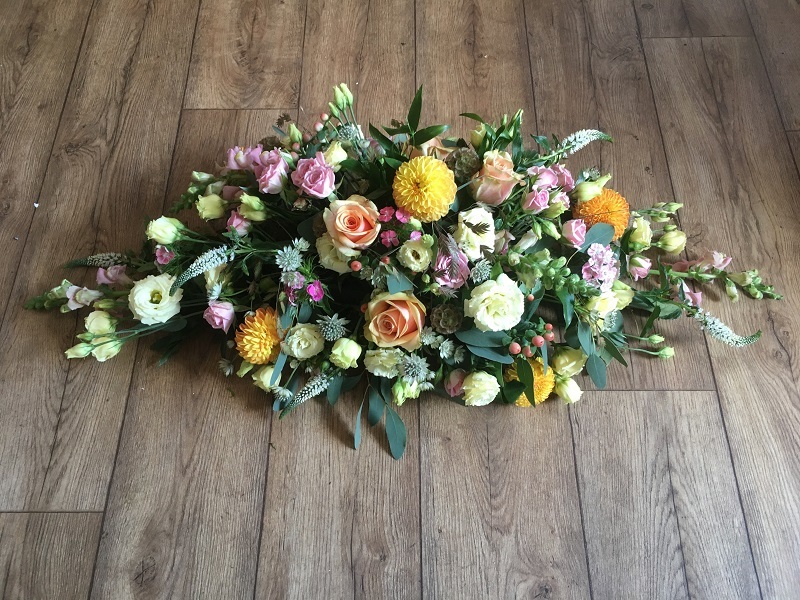 All one flower type or finally a Based design – this is usually created using ‘double Chrysanthemums’ with a posy of a small collection of flowers in your chosen colour. 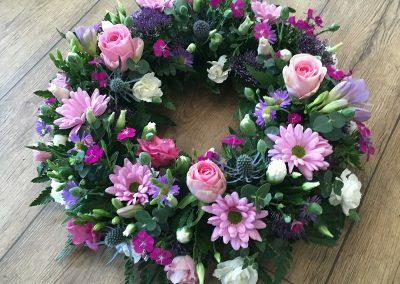 The Based designs can be created either with a foliage (greenery edge) or florist pleated ribbon edge, again in your chosen colour. 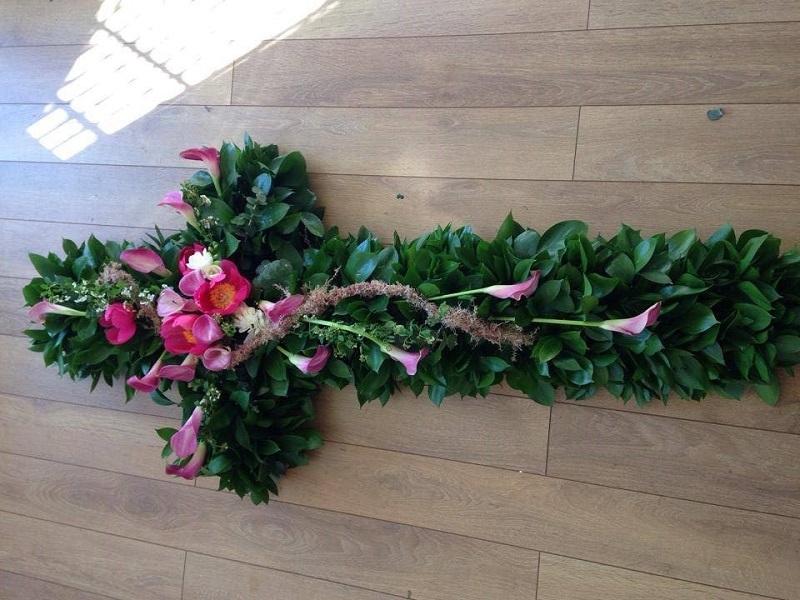 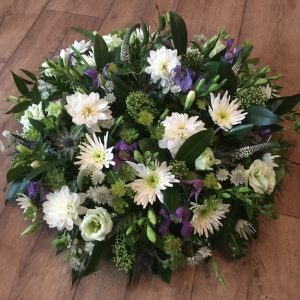 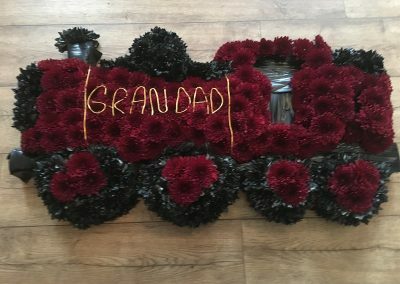 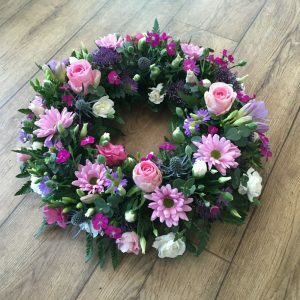 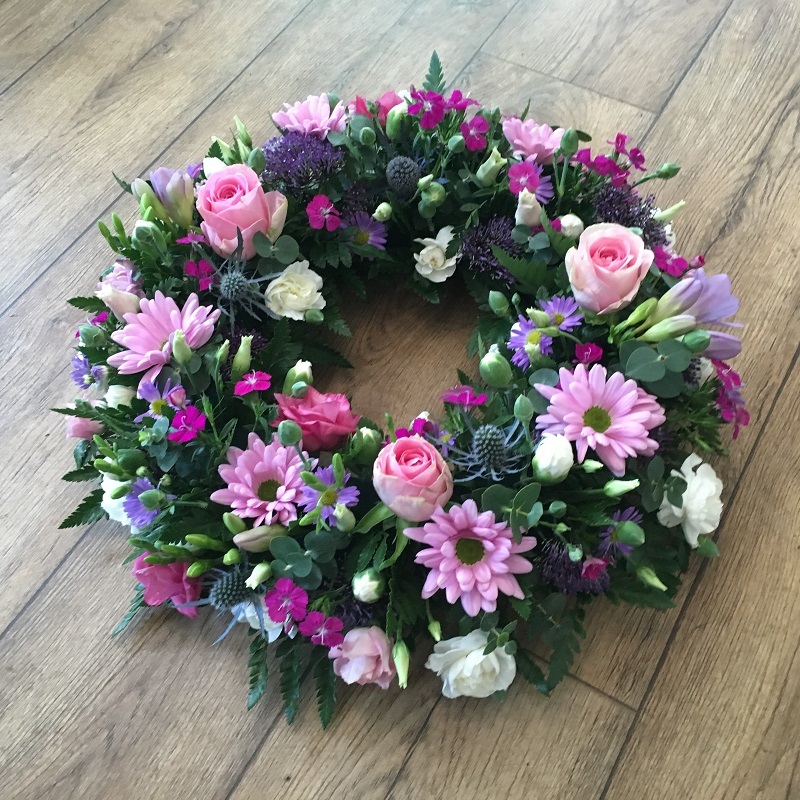 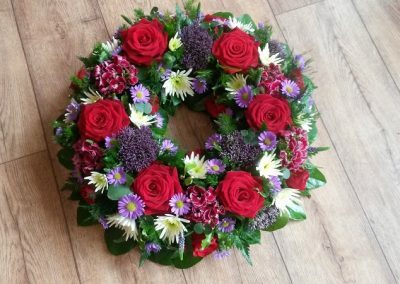 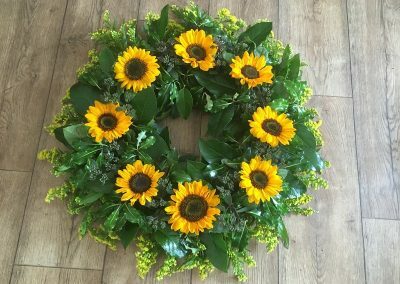 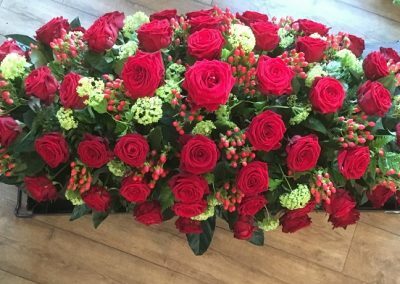 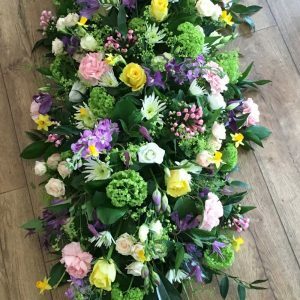 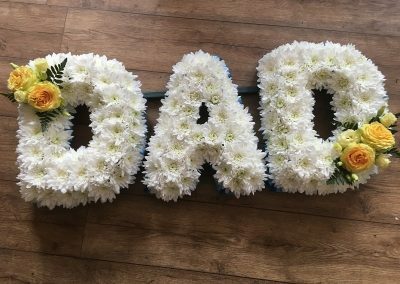 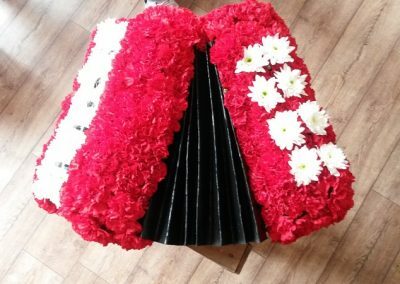 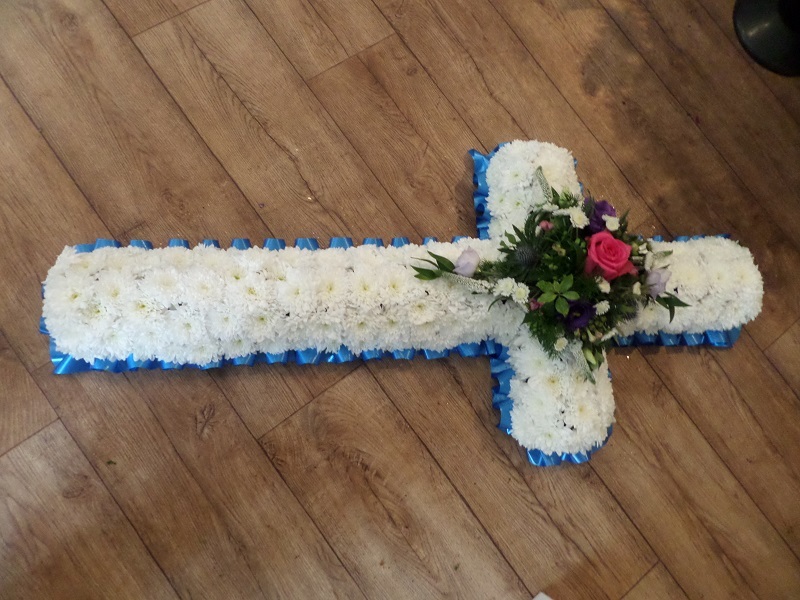 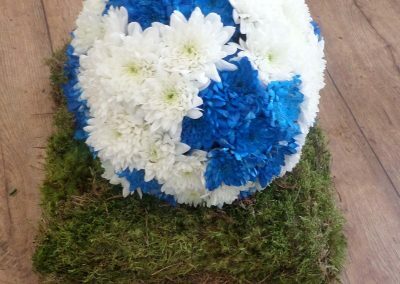 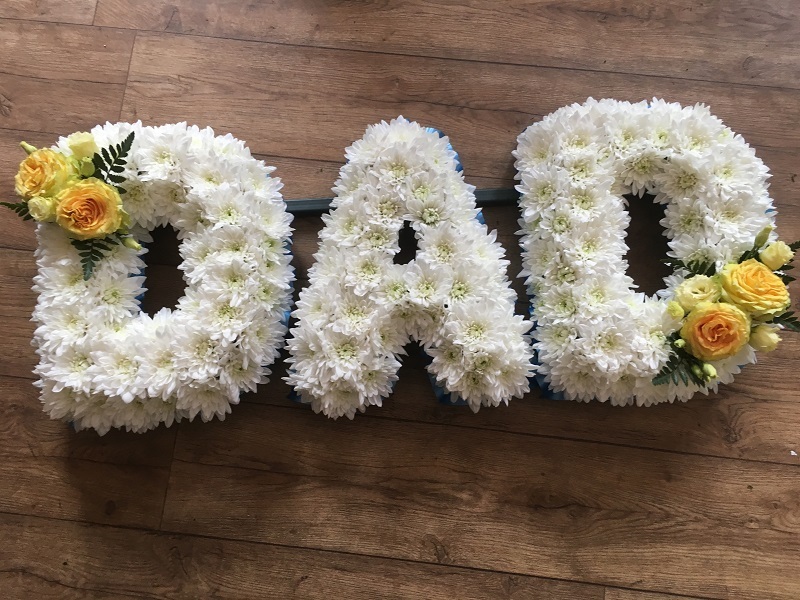 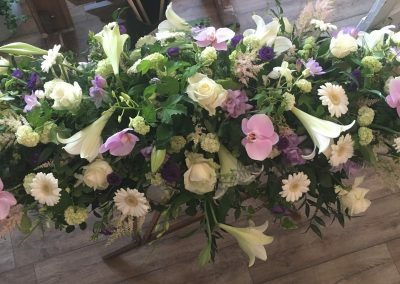 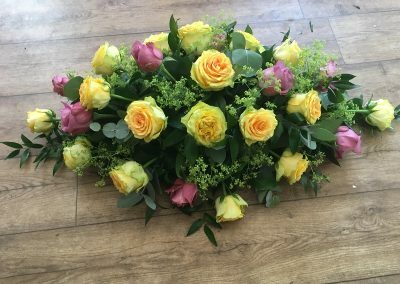 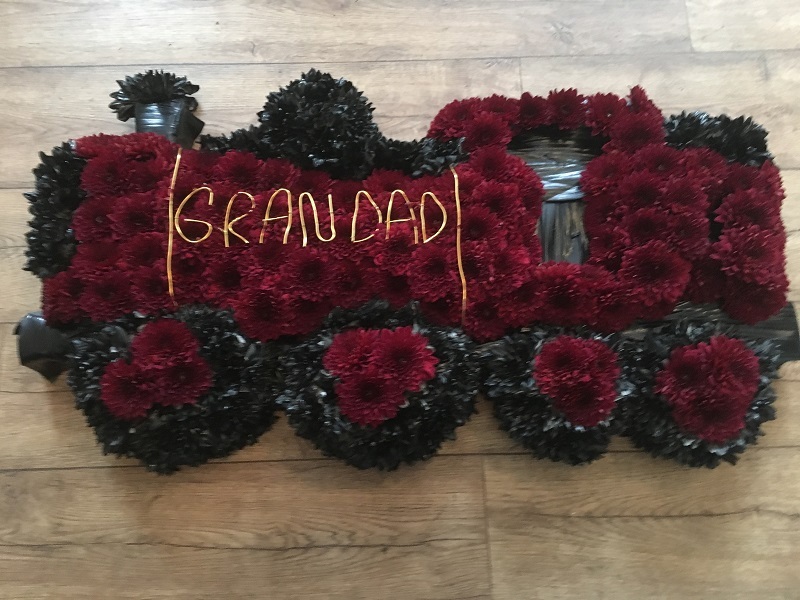 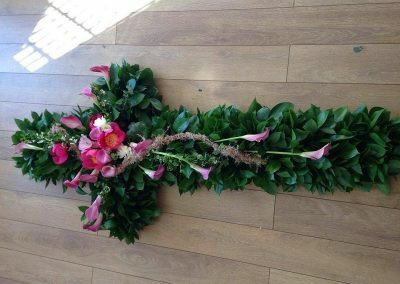 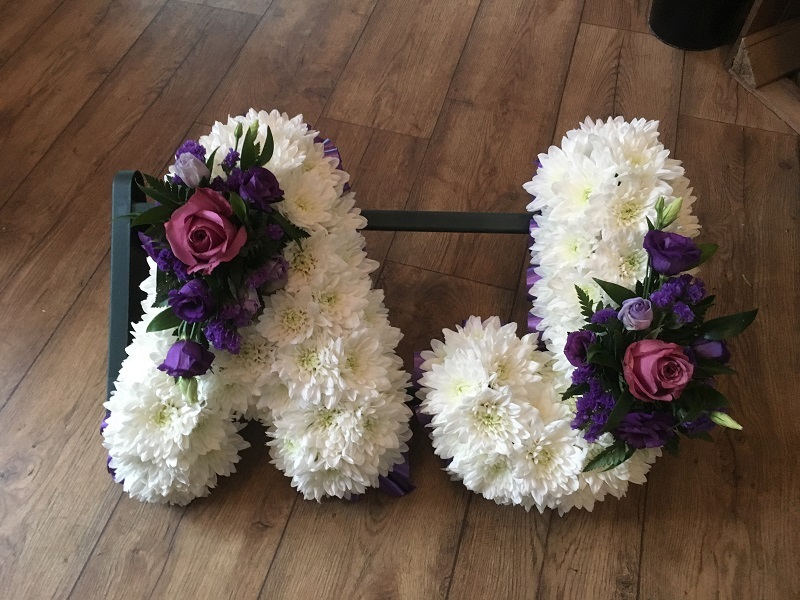 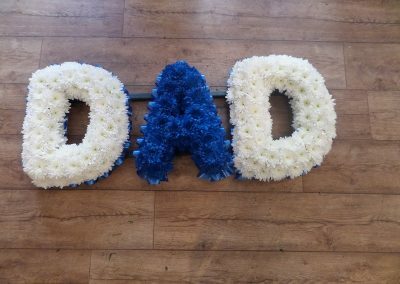 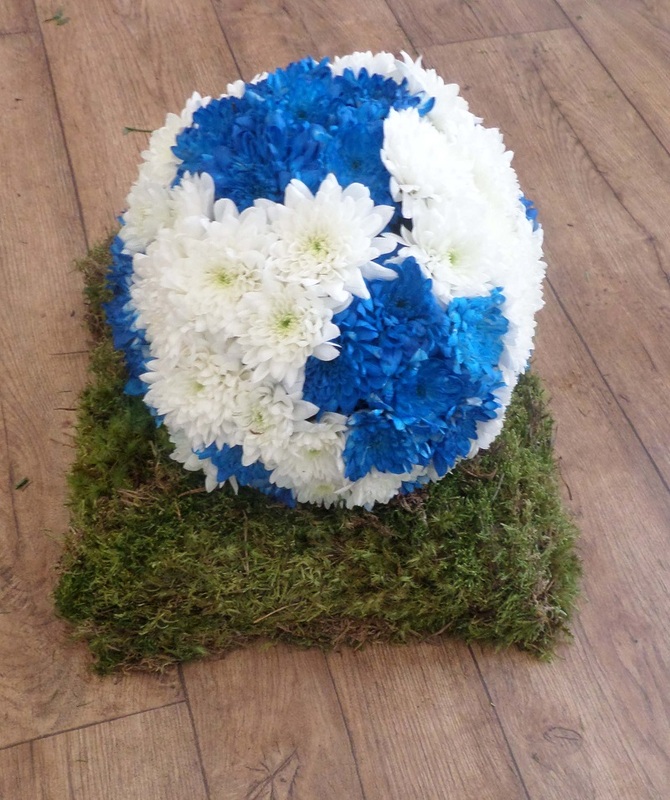 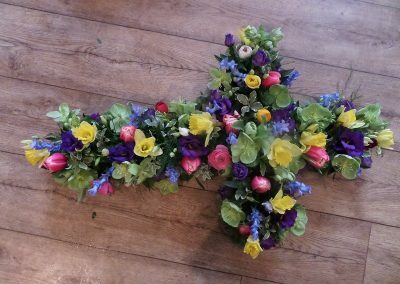 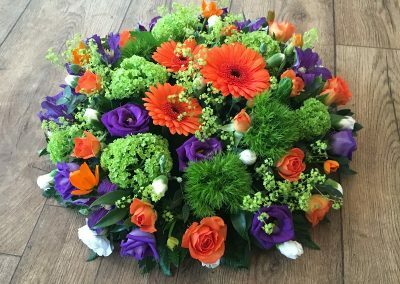 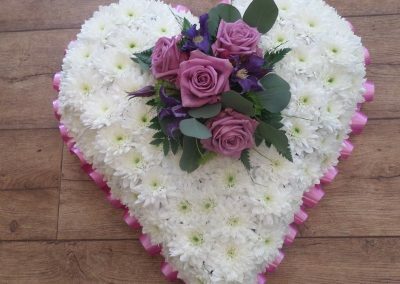 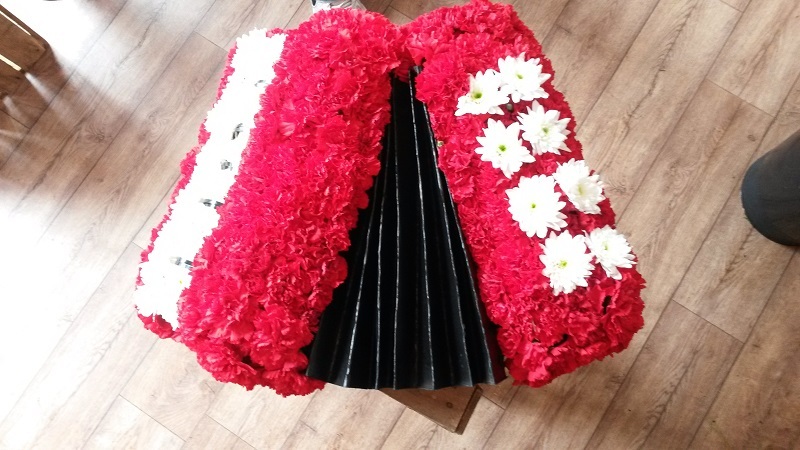 As people’s floral tributes have moved into a new dimension where they can be more meaningful, individual, portray the characteristics and maybe the lifestyle of the person they are representing. We like to use a variety of materials to capture the uniqueness of an individual, there culture, talents, interests and hobbies are all important. 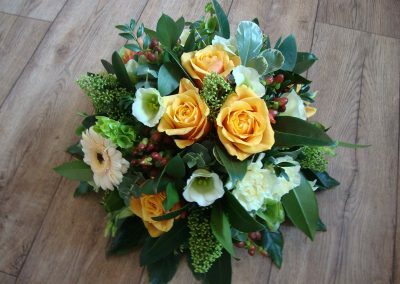 Through consultations with the family and friends these can be realised. 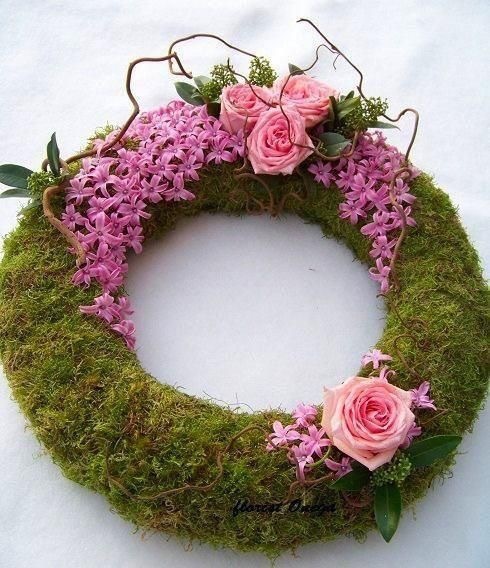 Along with varing designs contemporary and traditional we offer arrange of religious floral tributes. These can be created in standard designs of based flowers of a single flower type, or a collection of complimentary flowers, in a selection of tones decided by you. 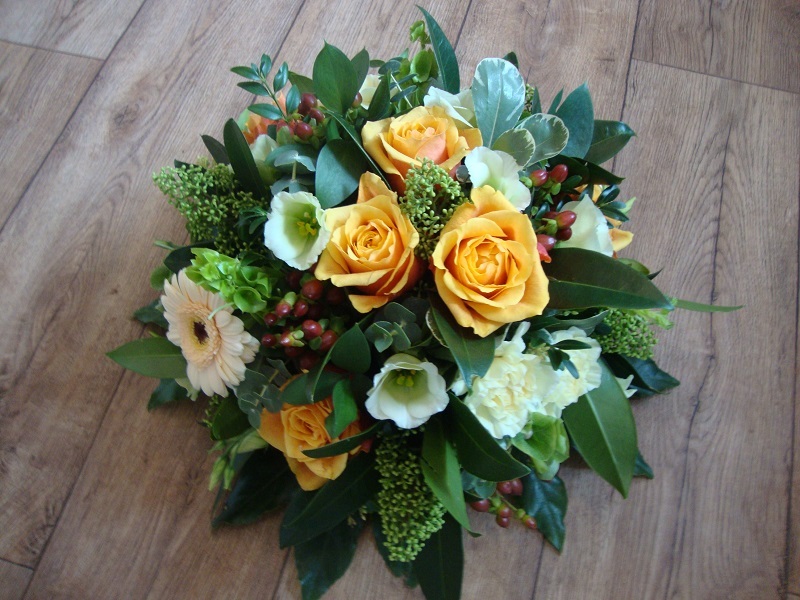 They can be created to bespoke requirements. 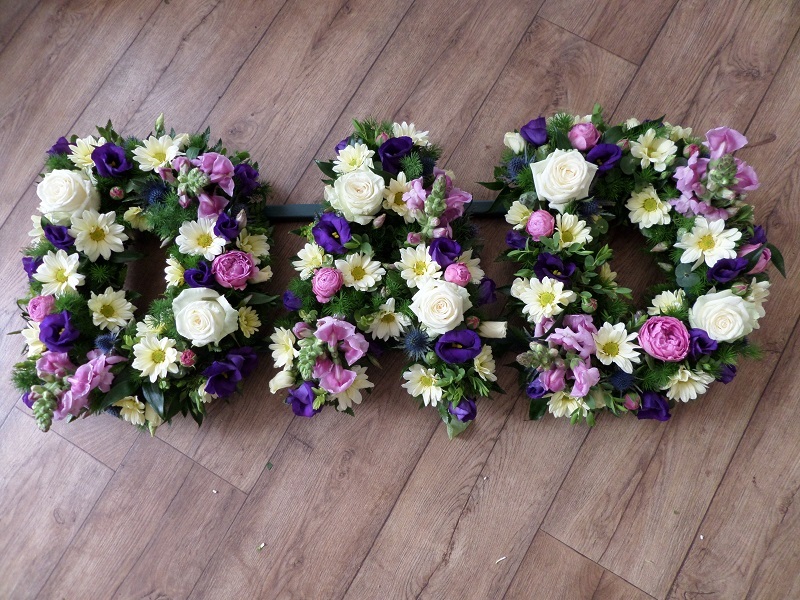 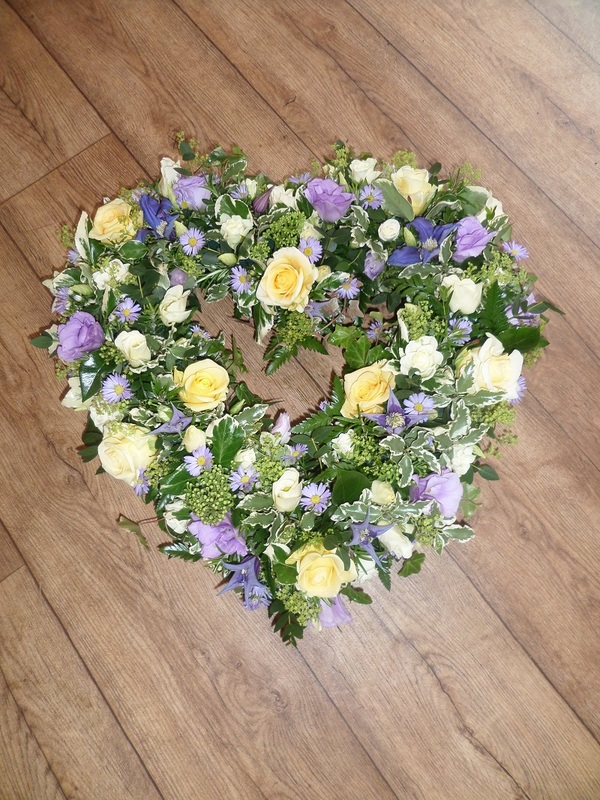 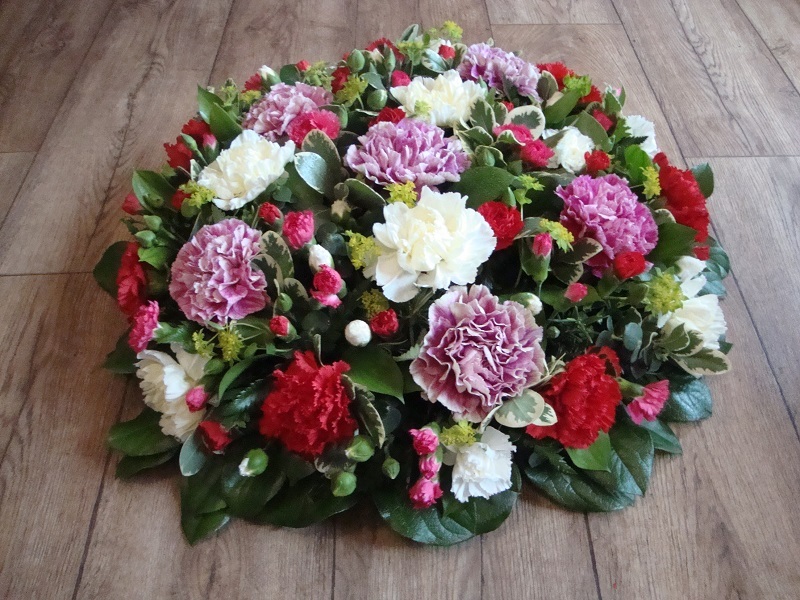 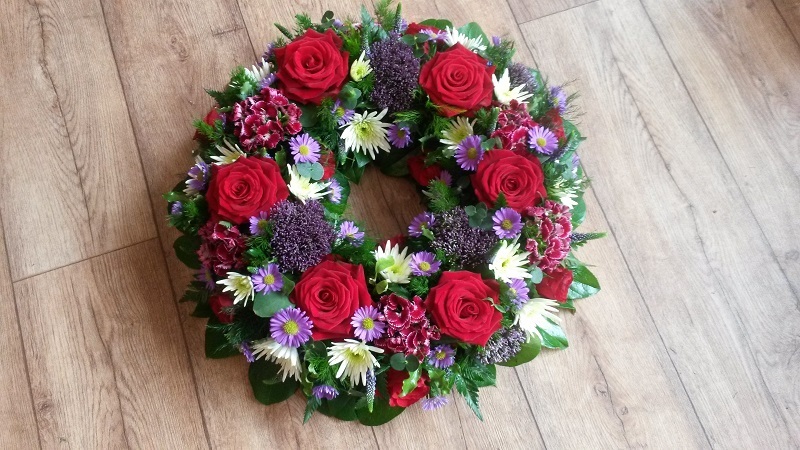 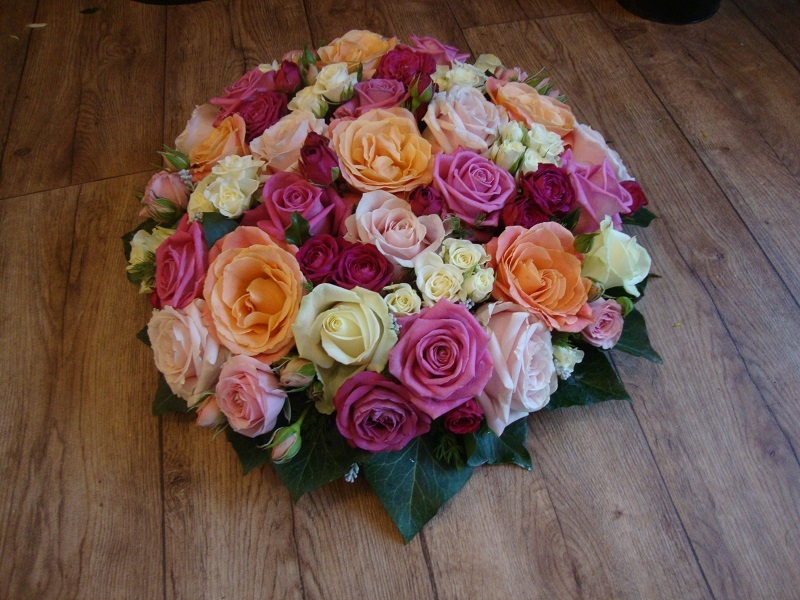 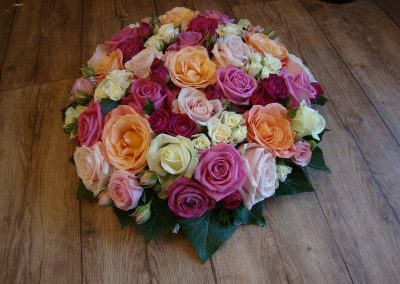 ‘We offer a wide range of sizes, styles and designs of the Posy, and Posy pad. 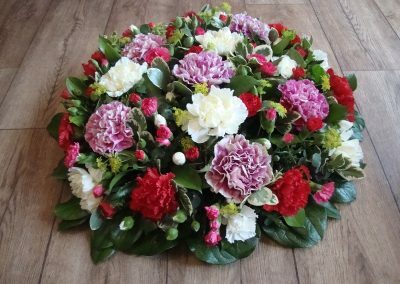 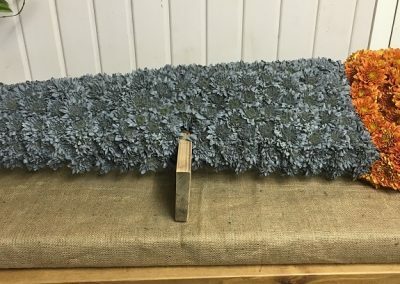 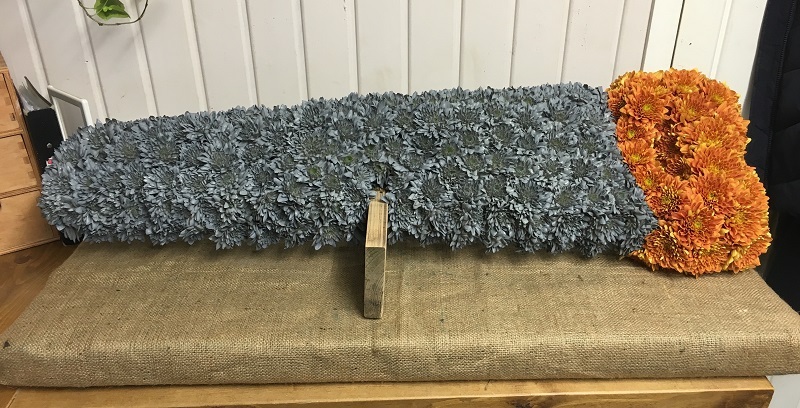 These designs can be created in the classic way of based flowers, this being either one chosen flower type, or with the use of spray double Chrysanthemums, of which a small posy of flowers will be added too, and with either a foliage or complimentary ribbon edge. 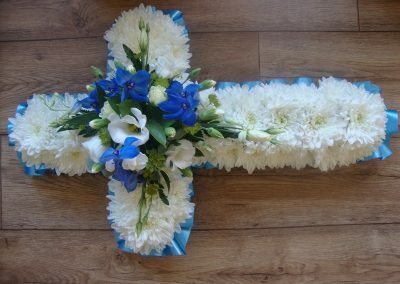 These designs can also be individually tailored, with complimentary mix of flowers in a colours that you choose.